This week our team wants to give a shout-out to 4 Paws for Ability. We’ve known this excellent group for years because we’ve had families who require a service dog do a shoe drive fundraiser with us. Perhaps you or a family you know has a child in need of a service animal because of a medical issue, or you are a veteran who needs a veteran assistance dog to ensure more of your mobility and independence. We couldn’t think of a greater organization for you to get to know that 4 Paws for Ability. This incredible group works with children who require the assistance of a dog for a wide range of issues that may be affecting their lives, such as autism, diabetes, hearing, mobility, and seizure. They partner as well with veterans who served in recent conflicts and suffered combat-related losses of the use of their limbs or hearing. The organization also works to educate and inform the public about the use of service animals in public spaces. 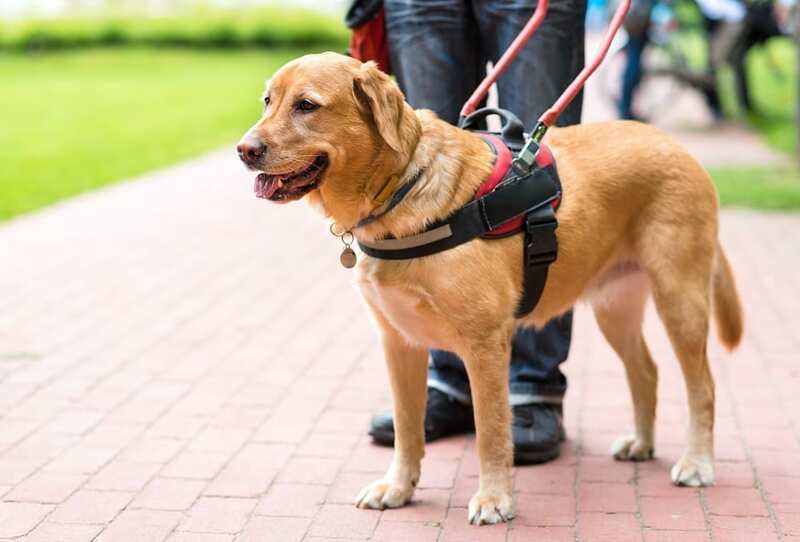 Because of the Americans with Disability Act of 1990, this organization has been able to thrive and aid families in need of a service dog, without any requirement for a minimum age of the individual and regardless of the severity of their disability. According to 4 Paws for Ability, in 2017 they commissioned a study concerning the cost of a service dog. When preparing a dog to integrate with a person with a disability, many factors that cost money are involved. Some of those elements in the training of an animal include training, dog kennels, food, medical supervision, training equipment and much more. 4 Paws for Ability has ensured that they have a state-of-the-art facility to make sure that training and care for the dogs are done to the highest standards, which are essential because of the vital work the animals will do once they are placed. The study concluded that it cost between $40,000 and $60,000 per service dog. Because of this high, but necessary expense, 4 Paws for Ability has a “partial payment for service” funding model that it has with the families who need a service animal. At present, the fee is $17,000 that is provided by the people who need a service dog, and the organization picks up the rest of the training and care costs with its fundraising. Although $17,000 represents part of the cost for families of a service dog, it is still a significant amount of money for most people and the reason most of the families have to raise funds to have the opportunity to participate in the program. 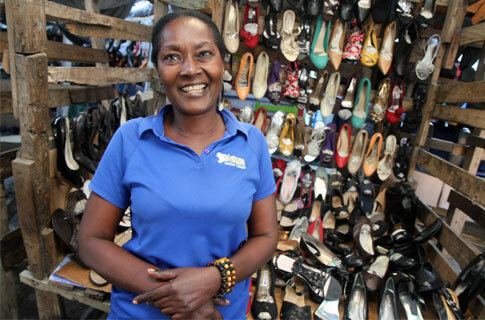 It is because so many families have sought a creative fundraiser, that we’ve gotten to know many people who have come to us to help them raise money in a shoe drive fundraiser. We know that some of the most generous people in the world are Americans. We give hundreds of billions of dollars to charity and are incredibly philanthropic. If you know of someone, a child or a vet, in need of a service dog, we think you should take a look at 4 Paws for Ability. And, if you don’t know of anyone in need of a service animal but would like to contribute to an excellent organization that is doing some wonderful things, then we have ways for you to help them. Help someone get a service dog. Finally, you can always think about doing a shoe drive fundraiser that will benefit 4 Paws for Ability. Clean out your closet and home of your gently worn, used and new shoes. Ask your friends and neighbors to do a little spring cleaning as well and make a social impact. There’s no need to donate money, and your gift can help someone in need and make their life better. © 2019 Shoes With Heart. All Rights Reserved.